Marriage counseling can help open communication in a relationship when both spouses are committed to working toward change. However there's still hope for you and your marriage even if your spouse refuses to go to marriage counseling, states they are not “in love” with you any longer, wants a separation/divorce, or is already living apart from you. The first step is improving communication to express your thoughts and feelings appropriately concerning the current state of the relationship. Communicating effectively takes practice and a great deal of effort. Without healthy communication, it is nearly impossible to resolve conflicts or grow your marital relationship. Whether you are in a troubled marriage, simply seeing the value of a "tune-up", or seeking marriage help, here are some useful tips for communicating effectively within a marriage. 1. Realize that no one "wins" an argument. If you don't leave a discussion with a possible solution to the problem, then neither party has been successful. The marital relationship should always be put as the # 1 priority! 2. Compromise is an essential tool to solving problems through communication. Before bringing up a problem, make sure you have thought of ways that you can help solve it by mutual compromise. 3. Try to be positive when bringing up sensitive marital problems. Instead of jumping right into a discussion, open by acknowledging that every partnership could be improved and you'd like to take some time and discuss the things that are working in your relationship and the areas that could use improvement. It helps to start by talking about positive things and then moving into the deeper discussion on problem areas. 4. Be a "reflective" listener and make sure you understand what your partner has said. "What I hear you saying is..." is a great way to make sure the proper message has been received. 5. Feel free to use the "time out" card if the discussion gets too intense. If an argument gets heated and irrational, it is better to postpone the discussion to a time and place where effective communication can happen. Cooling off and not allowing emotions to make you say or do something your relationship will regret later is one of the first steps to better communication patterns with your spouse. 6. Make sure your body language, facial expressions and vocal tone are in line with your literal message. A majority of the emotional meaning of what you say is expressed by your facial expression. How your spouse interprets how and what you are saying will steer the conversation positively or negatively. 7. Be honest, direct and focus on the real issue. If you enter a conversation insecure about making your point -- you probably won't make it. 8. If you can't come up with a definitive solution, at least try to end the conversation on a positive note like "I think it's good we've both shared our feelings and we'll continue to talk about it and try to come up with a better solution." 9. Don't ever be rude or talk down to your partner in a discussion about your relationship. Don't dismiss an idea or thought as absurd, but instead listen to your partner's point and then react with the reasons you disagree in a respectful manner. 10. Stay on track. If you sit down to talk about a financial problem and suddenly other emotional issues are coming up, realize that you may need to focus on one specific area at a time in order to create solutions instead of mere bickering. Stay focused and do not bring up past events in a present conversation started about another issue. 11. Recognize when you need outside help to communicate effectively. 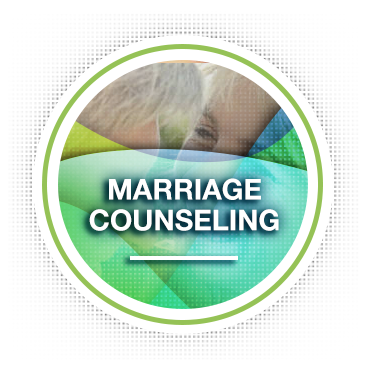 A marriage counselor may help identify what seems to be an impossible communication problem.